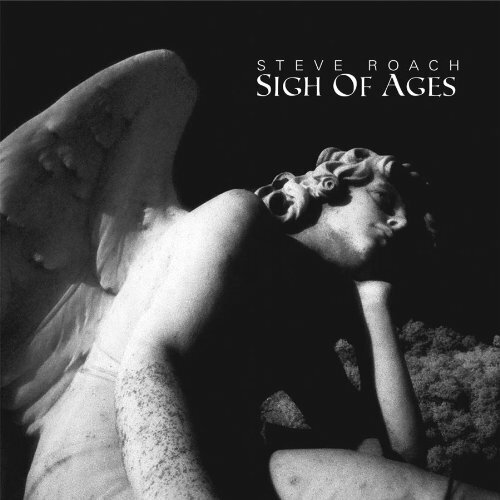 Steve Roach is an ambient and new age musician who lived in Tucson for 16 years before the air traffic became too distracting for him. I thought this was funny until I moved to Tucson in August. Now I notice air traffic all the time. “Ambient” music. “New age” music. I wonder if people think these terms mean the same thing. I wonder if I do. Typically, new age music is more explicitly focused on spirituality and healing than ambient music; that’s why it belongs in that strangely enduring cottage industry defined by its vague self-help literature (The Other Side of Life: The Eleven Gem Odyssey of Death [Angels, Spirits, Ghosts, Death, Time Travel, Parallel Worlds, Personal Growth and Transformation]); the invocation of pre-modern and “native” cultures (who are, for new-age purposes, presumed to be more spiritually elevated than us, the godless bastards); the sale of energy crystals, etc. Steve Roach is 55 years old. He has released nearly 50 albums since 1982. Three of them are called Quiet Music; many of them have cover photos that document portions of the natural world so expansive that they look abstract. Steve Roach is a mini-deity to fans of music like this, and when he gets on stage to welcome us to SoundQuest Fest 2010, we clap, we hoot. We have worn breathable fabrics for the occasion because we are ready to sit for hour after hour and do absolutely nothing. I am not interested in writing at length about the music because I know I am writing for a literary audience, but I feel a responsibility to tell you that: The first half of the day started with Loren Nerell, who played nicely discordant Javanese xylophone over synthesized textures and atmospheres; it continued with Mark Seelig, who, in the afternoon’s only concession to pure folk music, sat cross-legged on a pillow and played a wooden Indian flute called a bansuri for about an hour. What happened during this time—around 3PM to 5PM—is hard to describe in part because I’m sure everyone had a different experience. At a certain point I didn’t hear the music anymore; I was just in a cool, dark room piloting through the space in my own head, which is actually a kind of rare experience for me (and why I came in the first place). I drove home during the break, ate two fried eggs, and wrote for an hour and a half.